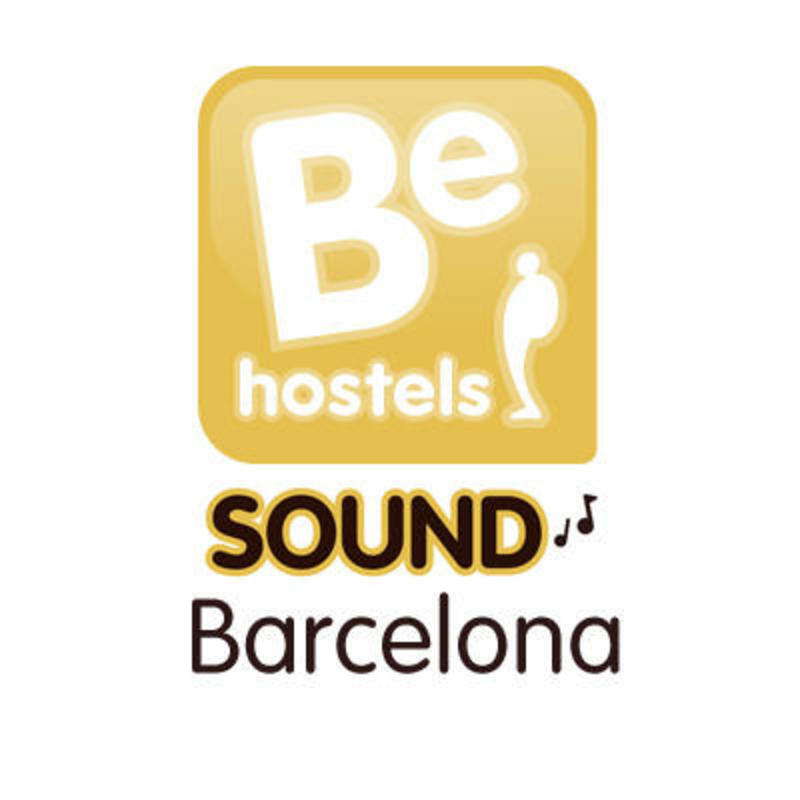 Be Sound is a cool, modern hostel in the perfect location. With us you can easily explore Barcelona and enjoy our young and friendly environment. Itâ€™s only two minutesâ€™ walk from Las Ramblas and the port and is located in the partying and shopping area of Barcelona. We give you loads of free stuff, like locker with a personal key, Wi-Fi and internet, local maps, walking tours, air conditioning, dinner vouchers and even a free drink and tapas at check-in. Itâ€™s also free to use our fully equipped kitchen. We offer six- and eight-bed dorms, with 100 beds in total. Thereâ€™s air conditioning and heating in all rooms - very important for the very, very hot Spanish summers! All beds include a free pillow, duvet and blanket. Sheets are available to rent from reception. Please be aware that the apartments are located in a different building but still include breakfast, linen and towels. This is the best option for backpackers and everyone who wants to discover our vibrant city. Barcelona is a never-ending dream - we invite you to have your best dream with us. Itâ€™s best if you purchase a T-10 ten-journey card for only â‚¬9.25; you can use it on any line for the metro, train, bus or night bus. The main city centre areas are all in Zone 1, including El Prat airport. On foot (10-15 minutes): Walk down Las Ramblas towards the sea for about 10 minutes. 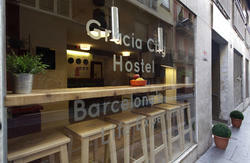 You will see on your right-hand side the street Nou de la Rambla - you will get to the hostel in a couple of minutes. Number 91 is on the left side. By metro: Time: 5 min, cost: â‚¬2. Take the green line and get off at Paral-lel station. 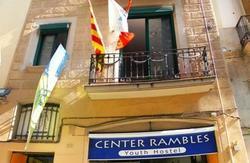 Take the exit for Nou de la Rambla and once you're on Nou de la Rambla street you will find the hostel on the right side at number 91. By train: From Terminal 2 take the RENFE train and get off at Sants EstaciÃ³ or Barna Sants (if you arrive at Terminal 1 thereâ€™s a free shuttle bus to Terminal 2). Time: 30 mins. Cost: â‚¬3.80. From there change to the metro system. Take the green metro line in the direction of Trinitat Nova and get off at Paral-lel (time: 5 min, cost: â‚¬2). 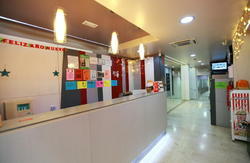 Take the exit for Nou de la Rambla and once you are on Nou de la Rambla street you will find number 91 on your right. By bus: Take the Aerobus from Terminal 1 or Terminal 2 and get off at the last stop, which is PlaÃ§a Catalunya. Then follow directions as above. Time: 30 min, cost: â‚¬5.30. The T10 is valid on the RENFE train to the airport but not valid on the Aerobus (the express bus service to the airport). By the night bus: The night bus (NitBus N17) goes from Terminal 1 and Terminal 2 and stops in PlaÃ§a Espanya and carries on to Plaza Catalunya. The first bus from Terminal 1 is at 11pm and the last one is at 5am (which is when the metro opens anyway). The bus passes every 20 minutes and it takes 30 minutes from Terminal 2 and about 40 minutes from Terminal 1. One way: â‚¬2 or a journey on your T-10 card. Take the only bus; it brings you to EstaciÃ³ del Nord at Barcelona city centre. Ryanair prepare and coordinates theses buses with each flight. The ride takes 1h and 15 minutes and it costs â‚¬2. Then follow directions from EstaciÃ³ del Nord as below. Take the green metro line in the direction of Trinitat Nova and get off at Paral-lel (time: 5 min; cost: â‚¬2). When leaving the station, take the exit for Nou de la Rambla. Once at the street you are on Nou de la Rambla - we are at number 91. Get out of the station to find the metro system. Take the red metro line and get off at PlaÃ§a Catalunya, then follow directions from PlaÃ§a Catalunya as above. You need to find the highway called Ronda del Litoral to get to the city centre. Once you are on the Ronda del Litoral take exit 21. Do the roundabout and take Avenue Paral-lel. Turn down the second street on your right. This is Nou de la Rambla and we are at number 91. The square next to the port is PlaÃ§a Colon. From there take the Avenue Drassanes. After that, take the second street to your left-hand side, Nou de la Rambla. You will find the hostel on the left side at number 91.